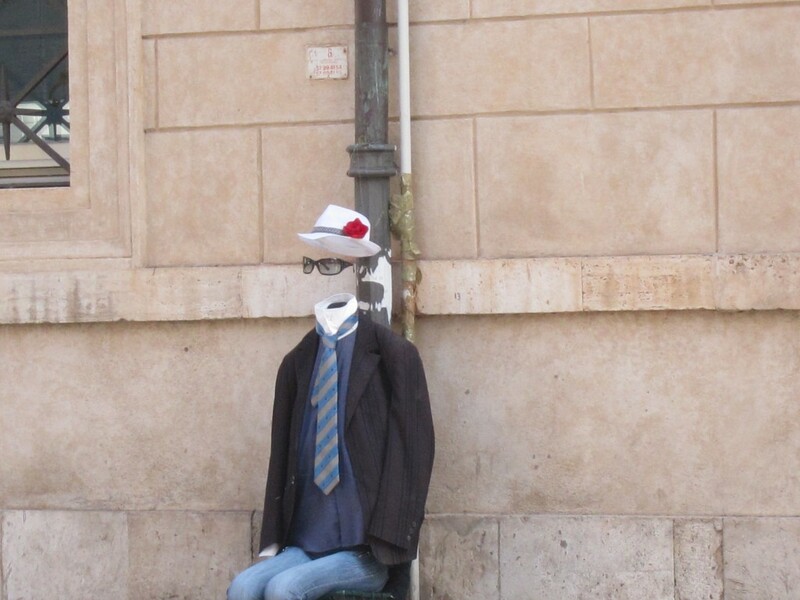 At the end of my post on Rome, I noted “to be continued.” Finally, here’s more on visiting that city with the greatest heart. 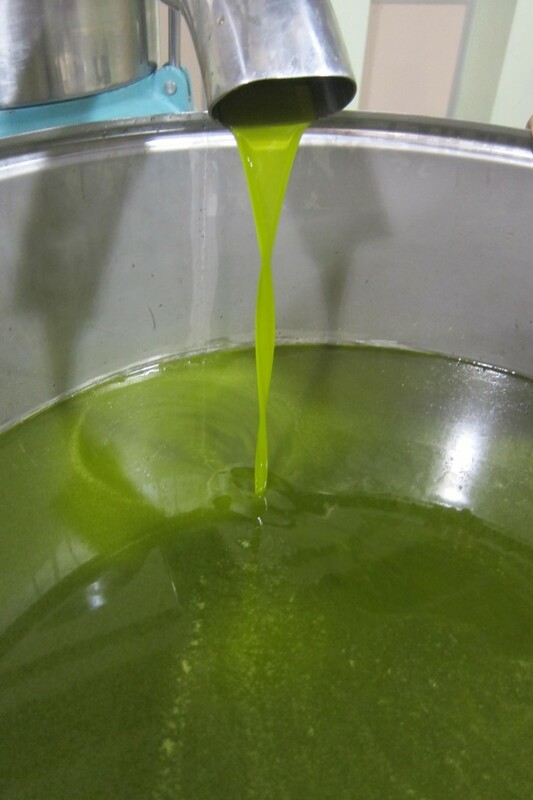 When my daughter, her husband, and our much-adored grandson arrived in Italy for the olive harvest, we started off with three days in an apartment near the Pantheon. (No photo / address included–it probably had been furnished in an afternoon at some unspeakable discount store. Great location, clean, but not recommended!) But to be near the Pantheon! 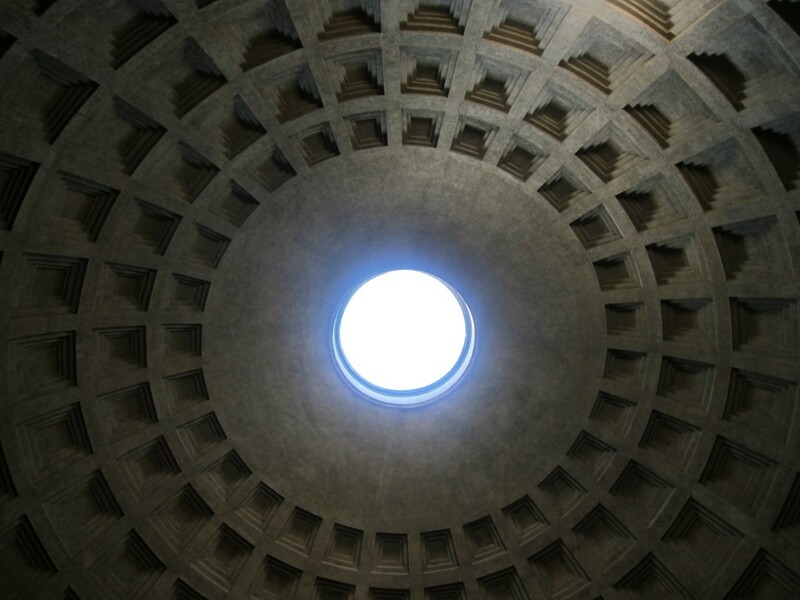 That grand center of the western world, fabled dome from ancient times, stop-in-your-tracks Pantheon. I always remember being there on a February day when a slushy rain fell through that amazing oculus at the top of the dome. Our friend Alberto prostrated himself and let the snowy water fall on his face. He (architect) was drinking in the whole mother legend of western architecture. If the Holy Ghost ever makes an appearance, surely it will be through this aperture. You could not have lain on the floor in October–you would have been trampled. In all my years of being in Italy, I NEVER have seen as many tourists as there were in Rome this fall. Many, many are eastern European. They are on the move. They have money, freedom to travel, and they are having a fine time! 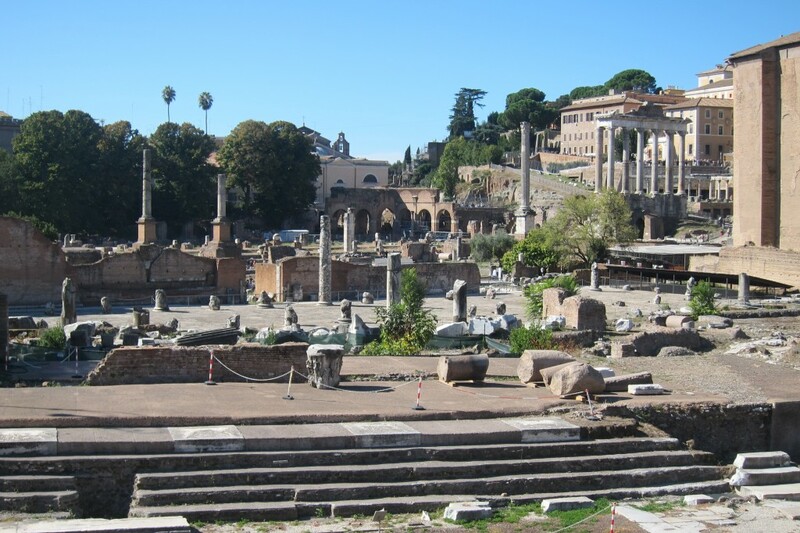 I loathed the crowds and we were on a tourist mission–to show Willie the Forum, the Colosseum, the ruins where Caesar was killed, some favorite churches and, of course some of our favorite places to dine on Roman artichokes, lusty pastas, and wild field greens. No matter how many times I have seen Rome, I’m always astonished. This is the classic, utterly simple cacao e pepe, pepper and cheese pasta that Romans adore. For a child who lives in a small town, the street life especially fascinated. 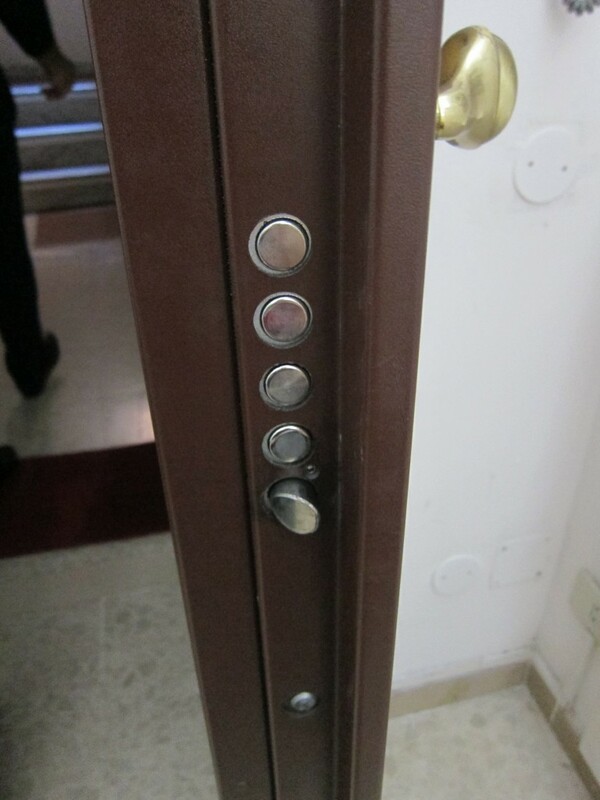 Even the multiple locks were interesting, and the pavement on the streets. 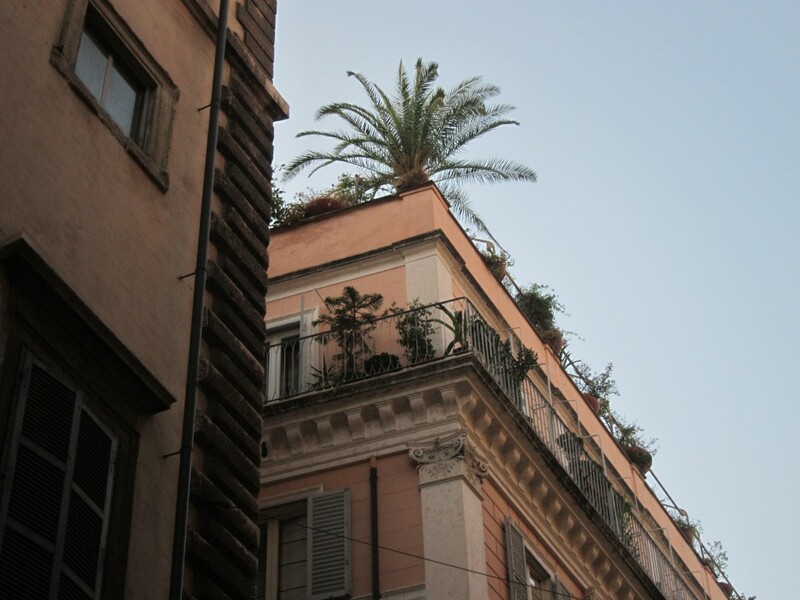 Roof gardens, gelato cones, details in churches, the fascinating obelisks–dozens of memories to take home and, I hope, always to bring him back to Rome for the nourishment of his spirit. One joy of friends and family coming to Italy to visit is that we get to share the places we love and to see them from new viewpoints. 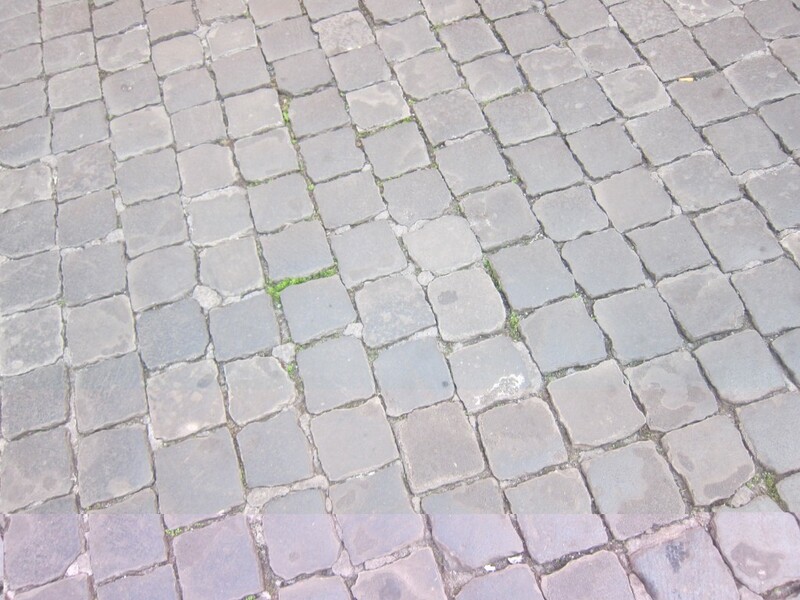 With them I especially love coming upon the secret corners of beauty that are everywhere in Roma. On this packed visit, these are some special stops I’d like to pass on, along with the suggestion: go in winter! 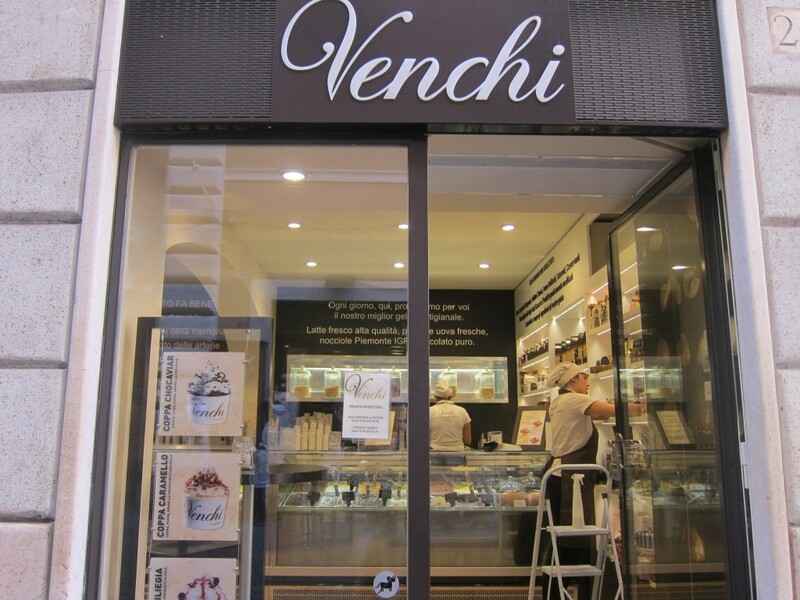 Venchi, one the the tip-top chocolate makers in Italy has opened a gelato shop at via della Croce, 25, near the Spanish Steps. Mamma mia! Many gelato places announce themselves as artigianale, artisan made, and they do make the gelato in house, but often with industrially produced mixes. Not so Venchi. Everything is fresh and the flavors are natural and deep. Of course there are chocolates to take away. The Galleria Doria Pamphilj is one of my favorite museums. http://www.doriapamphilj.it/ukhome.asp The immense palazzo at Via del Corso, 305, houses the galleries and also is still lived in. In addition to the art, you get a sense of how the old aristocracy lived (and lives still). The collection is large but not staggeringly vast. Caravaggio’s La Maddelena is there, as well as his Rest on the Flight into Egypt. I love the Filippo Lippi Annunciation. In the Bar Doria on the ground level, you think you could spot Henry James taking notes at a table and enjoying a delectable pastry. It’s an old-world place, quiet and civilized. An ornamental marble font looks like the world’s ultimate bathtub. 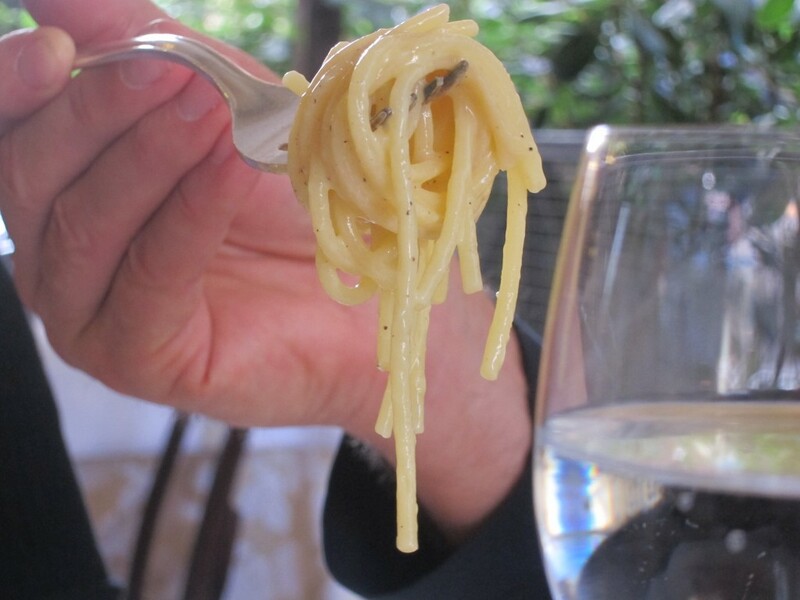 Roman trattorie are one of the great pleasures of life. 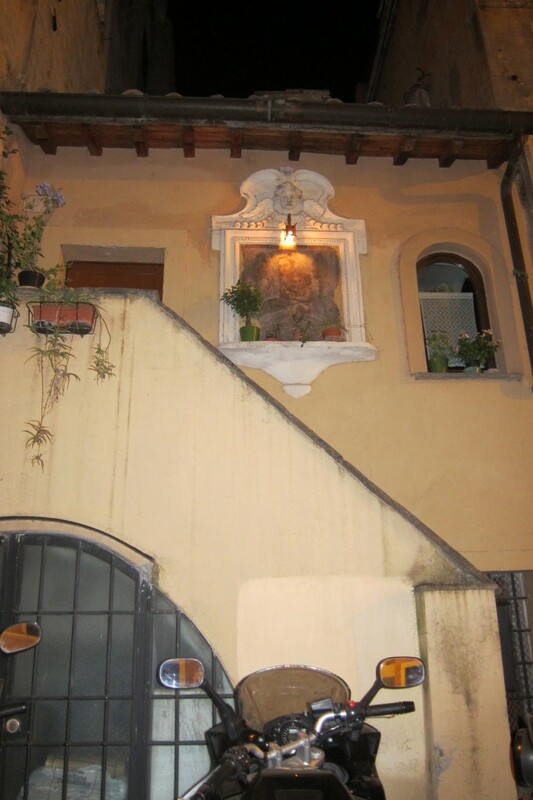 On this trip we dined happily at La Gensola in Trastevere (piazza della Gensola, 15), Ditirambo (piazza della Cancelleria, 75) near Campo de Fiori, Gusto (piazza Augusto Imperatore, 9–the wine bar trattoria around behind the more crowded front part), Da Fortunato (via del Pantheon, 55) near the Pantheon, and Ristorante Matricianella (via del Leone, 4) near the sublime piazza San Lorenzo in Lucina. The fall artichokes were in and Romans, of course, cook the best artichokes on earth. We ordered fried ones to start every meal and often proceeded to the deep-fried whole ones. One of my favorite dishes at Matricianella is a plate of tiny veal meat balls sautéed with artichoke hearts and cherry tomatoes. Their bucatini all’ amatriciana is called the 5 Ps–pasta, pomodoro, pecorino, pancetta, peperoncini (red peppers) and is devoured all over Rome. When Ed and I travel alone, we usually pause at a bar for a panino for lunch then move on, but with the family we had both pranzo and cena out, along with too many stops at Venchi and at early evening wine bars. Fortunately, we were walking all day.